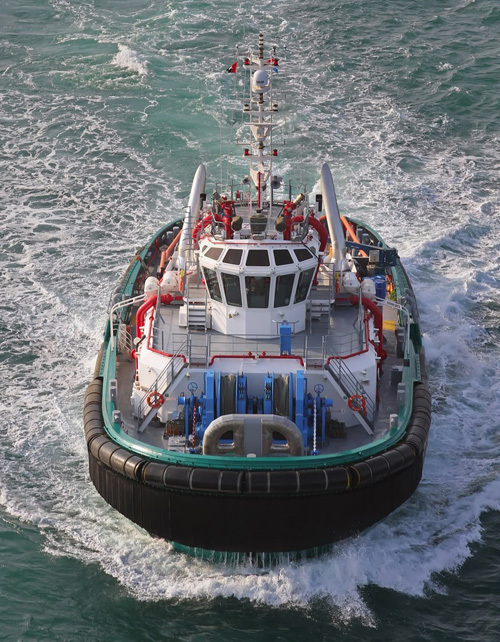 Thrustmaster drives can be found on tugboats operating in ports around the world and in the United States. Thrustmaster Z-Drives offer some very unique advantages. The drives have a low profile and the input shafts are at a very low elevation. This low input shaft elevation results in lower cardan shaft angles allowing smoother operation with less vibration. This translates into less noise, less maintenance and better longevity. It also facilitates conversion of conventional drive to Z-drives in vessels where little headroom is available in the stern.